The quotation marks seem necessary, given the absolute lack of dramatic tension preceding Eminem’s unannounced set at Bowery Ballroom. The evening, billed oh-so-subtly as “Red Bull Emsee: The Road to 8 Mile,” counted down to the midnight release of Recovery, the Detroit rapper’s seventh album; if there was one person in attendance who couldn’t guess the “big mystery guest,” he/she was probably suffering cardiac arrhythmia from all the proffered caffeine. Yet, after a middling rap battle and blaring set from hip-hop group Slaughterhouse, Eminem’s closing set was still electrifying. He paced the tiny Bowery stage with predatory aggression, coiling and snapping at the front row with an intensity I’ve never seen in a performer before. Three quick Recovery tracks – “On Fire,” “Won’t Back Down,” and “Despicable,” the freestyle promo for “Not Afraid” – and he was gone, and the scant hundreds in attendance were pushed unceremoniously into the balmy night to stand dumbly on Delancey Street, shell-shocked by something fully expected. 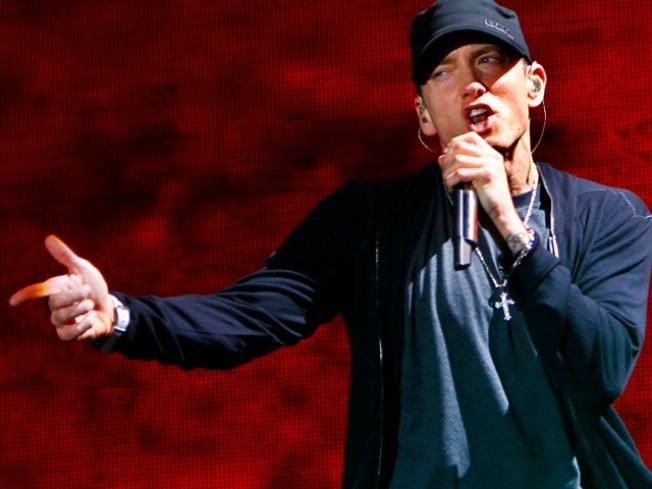 We know now that Recovery was just that for Eminem’s career, a career reinvigoration thanks to singles “Not Afraid” and “Love the Way You Lie.” This fall, the MC even came back to New York to celebrate its success, this time playing the slightly larger venue of Yankee Stadium. But to be honest, I’d never cared much about Eminem in any way before that night – he was clever and dexterous, irritatingly prejudiced like so much of his bravado-puffed rap ilk, a fine galvanizing listen but not the hip-hop I ever craved, not any experience I really needed. But after seeing him storm Bowery Ballroom, I think I’m going to need him again.